BetVictor, formerly known as Victor Chandler, is a UK bookmaker dating back to 1946. Their online poker room offers a 200% up to $1,000 for new players, in addition to their current €10 no deposit bonus. Both are explained in detail below. They do NOT accept US players. Bet Victor offers a 200% up to $1,000 poker bonus and is currently ranked #21 out of 28 reviewed poker rooms with an overall score of 64.00. 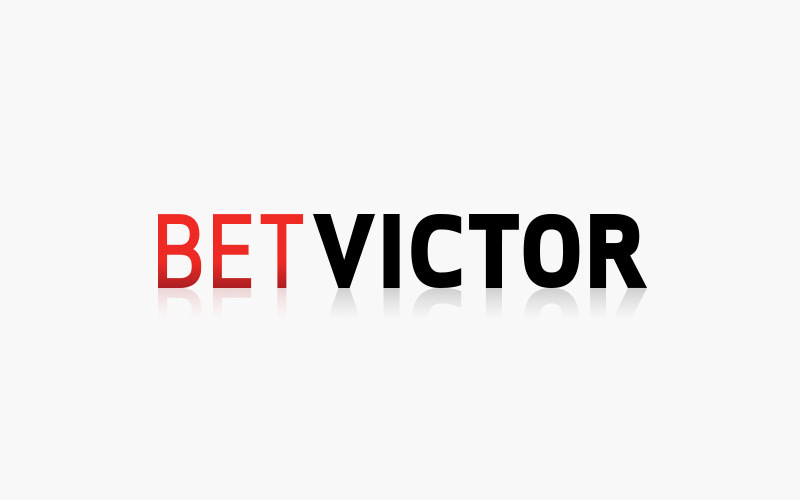 Visit BetVictor.com for more details and to download the official Bet Victor software. If you don’t yet have an account at BetVictor, you can take advantage of their €10 no deposit bonus. This is real cash that will be deposited into your account, no questions asked, and without having to deposit or add a credit card. 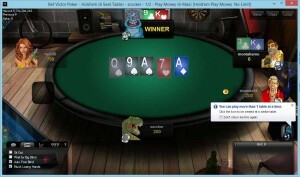 2) Download & install the poker software, which is available on both PC and Mac. 3) Create a poker screen name and login. 4) Send an email to vcpromotions@betvictor.com from the email address linked to your account with a copy of your ID. This is to verify your identity and to ensure the offer is only claimed once per person. 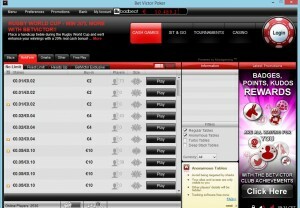 Make sure to mention you want to claim their “€10 poker cash do not deposit bonus”. Within 24 hours, the bonus will be depositing into your account, just like that! The €10 will be given as straight up poker cash, but can only be used to play real money cash games (no tournaments) at stakes of €0.05 – €0.10 or lower. To clear the bonus, €10 in rake must be generated within 7 days of issue. Any amount uncleared after 7 days will be removed from your account. Pretty simple. Note that this offer is only valid for players in the following countries: UK, Ireland, Germany, Austria, Lichtenstein, Luxembourg, Switzerland, Canada, Australia, Sweden, Norway and Finland. After you claim the no deposit bonus, you can then make a deposit to take advantage of the 200% up to $1,000 deposit bonus offer. There is no code required, it is automatically activated upon a player’s first deposit. A minimum deposit of $10 is required. Once you make your deposit, your clearing journey begins. And you better not waste any time, because BetVictor only gives players 30 days to meet the clearing requirements. The bonus is released in 10% increments, at the rate of $1 bonus for every 8 Action Points (APs) earned. This means the full $1,000 required 8,000 APs. APs are given at the rate of 2 APs per $1 paid in rake. This means players have to pay $4 in rake to earn $1 of the bonus, for a bonus value of 25%. A total of $4,000 in rake must be earned within 30 days, which sets the rake per day pace at $133.33, or points per day at 266.67. This will be unobtainable for nearly all players as it requires a ton of hands to clear (see below). However, all players will be able to earn at least 50% of the bonus, as it is released in increments. Action Points that are earned can be converted for cash at the rate of 5 APs for $1. This comes out to a set 40% rakeback. However, the maximum amount of points that can be converted per month is capped at 75%. This means that if you earn the full 8,000 points, you can only convert 6,000 of them. These 6,000 points end up being worth $1,200, which sets the VIP value at 30%. Combining the bonus value (25%), the overall value is 55%. This means you will receive 55% of the rake paid back while clearing the bonus. To convert points for cash, visit My Account then My Loyalty Points in the poker client. Points can be converted any time. NOTE: If you forget to convert points by the end of the month, they can not be claimed the following month! Convert your points often and do not forget or else you will miss out on a lot of value! The below table shows an approximation of how many hands it will take to clear the full $1,000 bonus. These numbers may not 100% exact and should be used as an average to give you a general idea, rather than an accurate amount. This is because the rake generated varies widely based on playing style. In general, aggressive players generate more rake while more conservative players generate less rake. Therefore, if you tend to play more aggressive, it may take you fewer hands, whereas if you play more tight, it may take you more hands. If you’re looking to play now, you can visit BetVictor.com now from your PC or Mac and claim your €10 no deposit bonus + $1,000 deposit bonus! Looking to get started? Signup at Bet Victor through Bonus Ace by using the link above. New players can receive the 200% up to $1,000 opening bonus offered, described in this review.